Fui o mais rápido hoje no treino livre. Vamos com tudo amanhã na qualificação. 12:00 no Eurosport 2. P1 today in Free Practice! Let's push hard tomorrow in qualy 💪🏻👊🏻💪🏻 #tiagosworld18 #honda#thepowerofdreams — em Moscow Raceway. Pole position for the 🇷🇺 opening race tomorrow and P10 for the Main Race. I believe we can bring it 🏆 home! Races live in Eurosport! Nicky Catsburg, marking his 1 year anniversary with the team here in Moscow claimed his and LADA SPORT ROSNEFT’s first ever WTCC pole position with a sensational lap 1.4 seconds quicker than his teammate Gabrielle Tarquini and Hugo Valente who completed an historic 1-2-3 result for the Russian car brand supported by Rosneft. 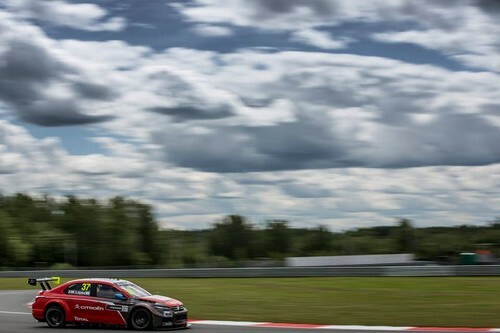 The Russian squad were untouchable for speed on a wet track that seemed to suit the Lada Vesta TC1 car perfectly with the team finding a balance and set up that could not be faulted. 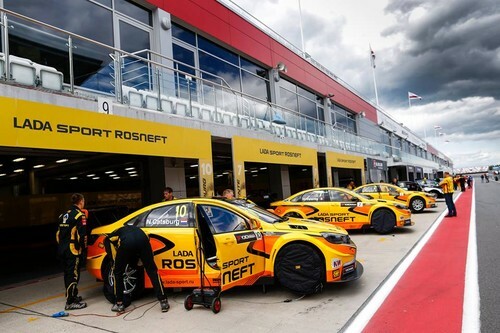 The Russian LADA SPORT ROSNEFT squad will now be hoping that they can translate today’s qualifying pace into a similar race result in front of their home fans in tomorrow’s Main race. Story of the Day - LADA walks on water! 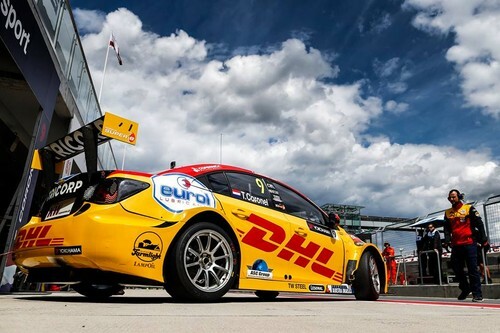 1,2 in the first race; 1,2 in the second race, the LADA Sport WTCC boys became real heroes for their home race in Moscow. Hoje trago para 🇵🇹 o maior número de pontos possível. 6º e 5º nas duas corridas e continuamos na luta pelo vice campeonato. Bom trabalho de toda a minha equipa / familia! Obrigado a todos vocês que quando corre bem ou mal estão sempre comigo! É o PORTUGUESE POWER 🇵🇹. Agora que venha o Circuito Internacional de Vila Real! 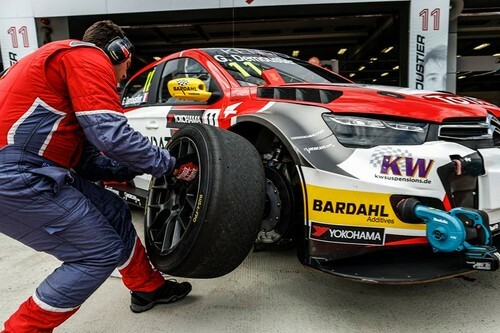 A LADA domíniu no Moscow Raceway duas vitórias e duas dobradinhas na visita do FIA WTCC ao circuito moscovita. 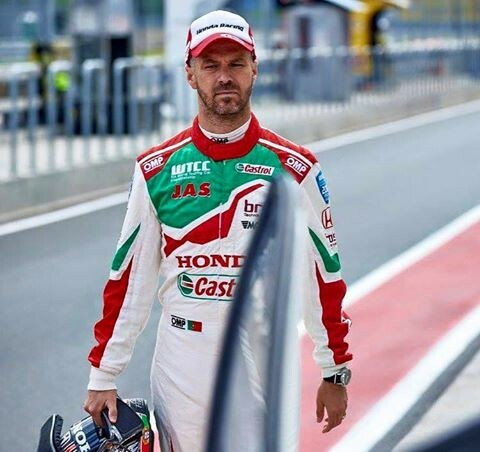 Tiago Monteiro obteve um 6º e 5º lugar nas duas corridas a contar para o Campeonato do Mundo de Carros de Turismo. 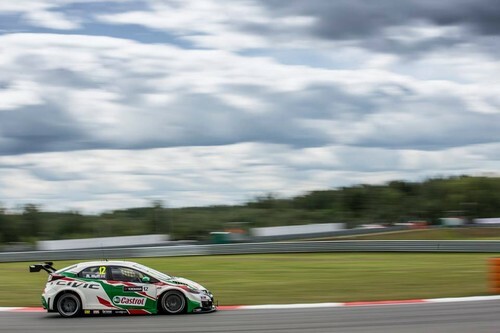 Honda secured an 11th podium finish of the year and six points finishes out of six in challenging conditions at the sixth round of the FIA World Touring Car Championship at Moscow Raceway in Russia. 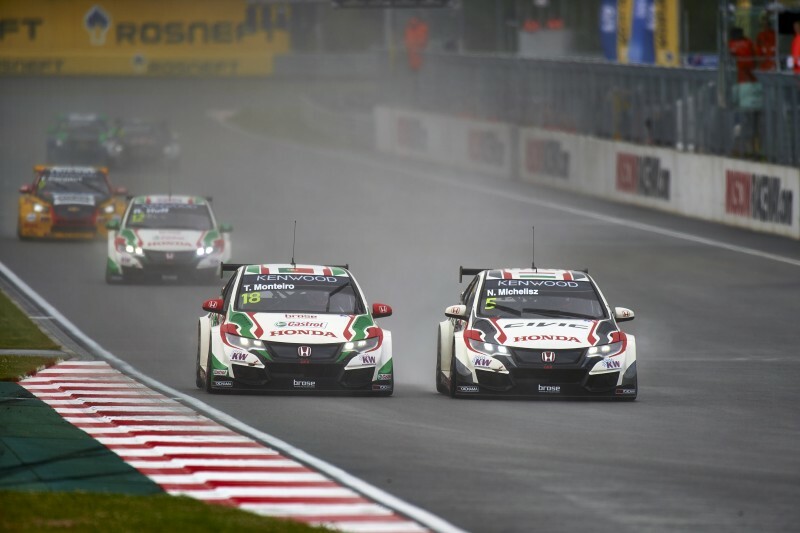 Norbert Michelisz, who had gone fifth fastest in qualifying, made a superb start to the main race and overtook two cars in as many laps to finish third in his Civic WTCC; the Hungarian managing his tyres perfectly on a damp, but drying, track surface to achieve the result. 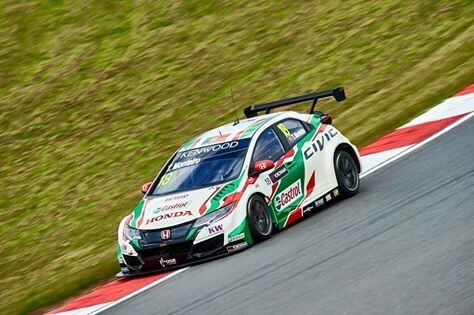 Behind him, superb recovery drives from Castrol Honda World Touring Car Team-mates Rob Huff and Tiago Monteiro netted the pair fourth and fifth places after they started 11th and 10th on the grid. A sudden rainshower during the opening race formation lap brought about a delayed start and a switch to wet tyres for the entire field. In fully wet conditions, finding grip on the Moscow track surface proved difficult for all three drivers and Tiago was unable to capitalise on his reversed-grid pole position. 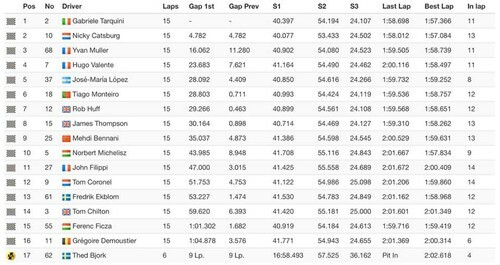 The Portuguese finished sixth with Rob right behind him; the pair proving the quickest drivers on the track during the race’s damp phase, but suffering with grip issues whenever fresh rain fell. Norbert was running ahead of the pair when a drive-through penalty, issued for him starting slightly outside his grid box, dropped him to 12th. A hard charge during the second half of the race enabled him to climb to 10th – the final points-paying position – by the chequered flag. The events of the weekend both on and off the track mean that the WTCC takes on a very different look. 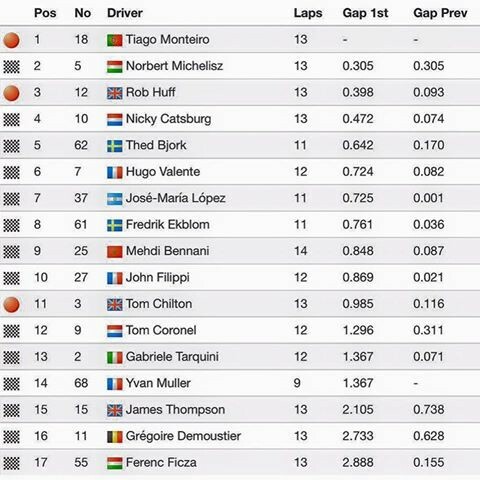 Tiago lies fourth in the drivers’ championship with Norbert seventh and Rob eighth; but only 15 points – the equivalent of a third-place finish – away from second overall. Honda maintained second place in the manufacturers’ championship. 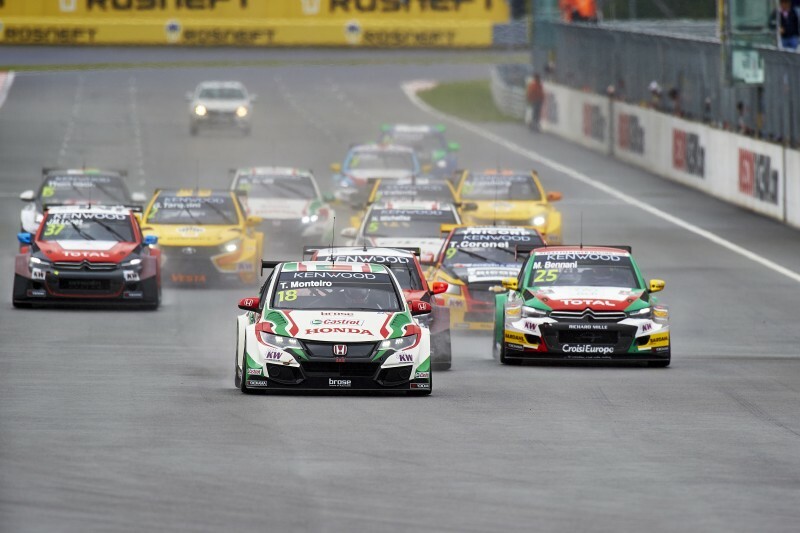 LADA SPORT ROSNEFT reaped the rewards of several years of participation in the FIA World Touring Car Championship with a sensational result at their home race in Moscow today (12th June 2016) with a sensational 1-2 result in both the Opening and Main races. The Russian team were absolutely dominant with a commanding display that saw Gabriele Tarquini bring his Lada Vesta TC1 across the line first closely followed by Nicky Catsburg in second position in the Opening race despite starting the reverse grid race in 9th and 10th places respectively. The team’s third driver Hugo Valente bringing his Vesta home in P4 for an incredible result for the team. The day’s Main race saw the trio start 1-2-3 on the grid and grasp the opportunity to capitalize with Catsburg and Tarquini never challenged from great starts as they pulled clear of the chasing pack to achieve the teams second 1-2 finish of the day, this time with Catsburg scoring his maiden win for the team. 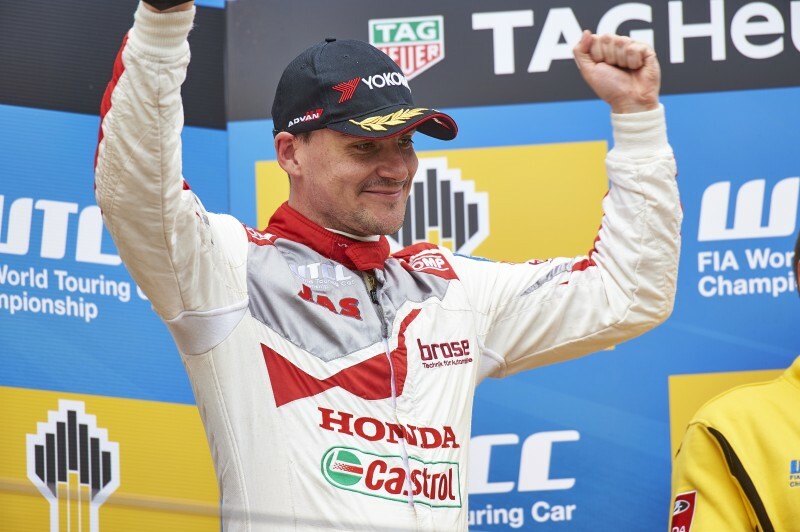 Extraordinarily this result puts the Dutchman in his first season of WTCC in second place in the World Drivers Championship the highest position ever held by a Lada driver since the outset of their participation in the Championship. The result was even more satisfying as it gave the chance to the home fans and the guests of Rosneft and Lada the chance to witness first hand the result of the team’s efforts with the fantastic support that they have provided. The team now hope to carry the momentum forward to the next round of the Championship in two weeks time on the streets of Vila Real, Portugal which will present and entirely different challenge for the Russian team.